Every textile, from simple structures to complex weaves, carries a kind of coded relationship between time and space. It’s a language of tactile memory connected by hidden structure, and deeply embedded in human experience. 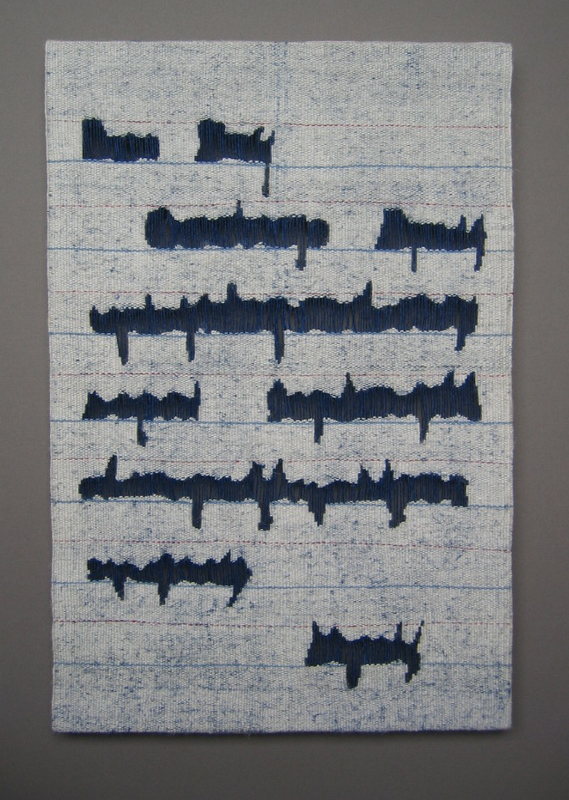 My work encompasses a desire to represent cloth as a way of seeing, and as a parallel text exploring visual memes. 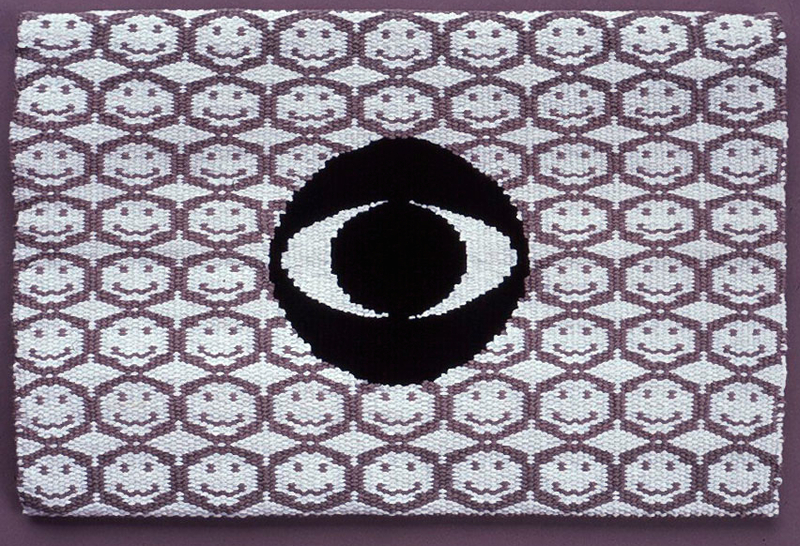 My tapestries, computer weavings, and multi-harness constructions often concern issues of perception and mimesis, and the liminal sense of indecipherable alphabets reverting to image. The lacunae series was inspired by ancient texts that have decomposed beyond legibility yet retain a mute beauty. Part of my work involves historic restoration. Friends of Timberline commissioned me to produce hundreds of yards of handwoven drapery fabric for the Cascade Dining Room, as well as lobby and mezzanine upholstery. 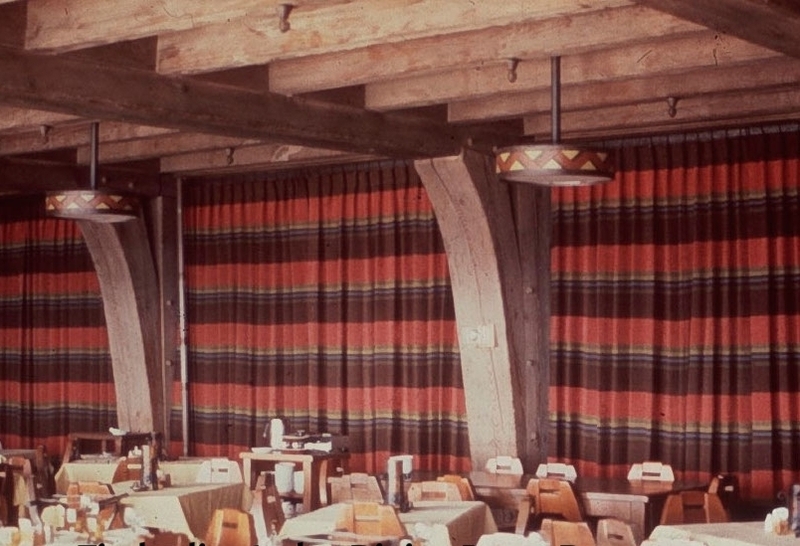 The Lodge, a national historic landmark, hosts over 2 million visitors a year requiring sturdy handcrafted fabrics that are reproductions of the original designs. Extensive research into historic fabric patterns resulted in the recreation of textiles that had been lost to time. Woolen and linen yarns in birdseye, crackle weave plaid, zigzag chevron, and plain weave variations make up the Timberline collection of bold 1930s era designs.